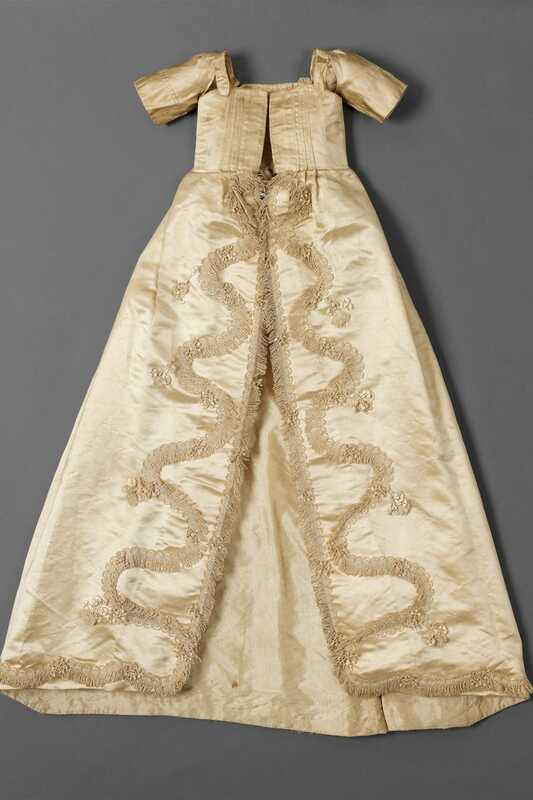 This gown would have been worn by a baby for a formal occasion, such as a christening, and would probably have had a matching underskirt, known as a petticoat. Its decoration echoes the meandering rococo-inspired borders of women’s gowns of the time. Despite the rich fabric and trimming there was an element of practicality in the front opening and the ease around the neck and sleeve area. 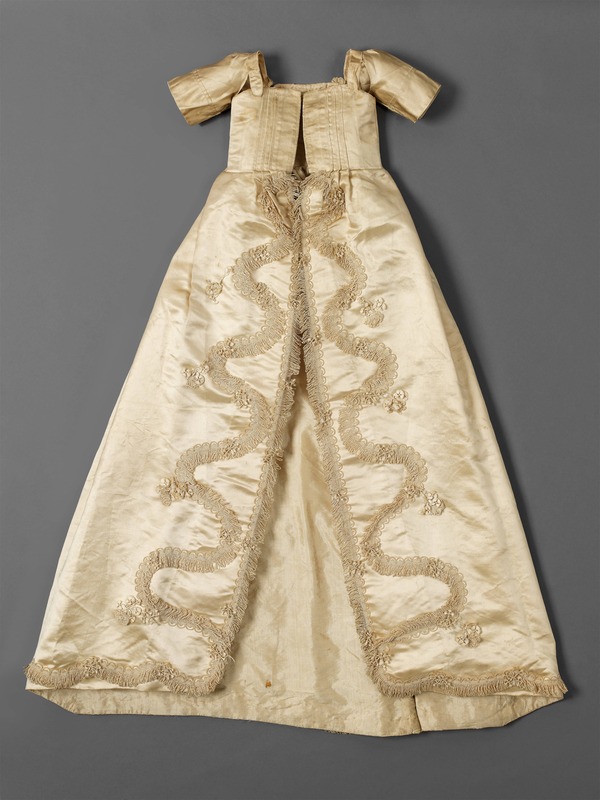 Formal gowns like this would have been fairly recent replacement for ornate bearing cloths wrapped around swaddled babies during their christening ceremony. The age-old practice of swaddling, whereby babies were wrapped in bands of cloth to encourage their limbs to grow straight, was going out of fashion. New, enlightened attitudes to children encouraged changes in their upbringing. Prominent thinkers, such as John Locke and Jean-Jacques Rousseau, and members of the medical profession believed that a child’s development was best served by the free movement of its limbs.